Wishing your own son a Happy Birthday is pretty darn easy. You’ve known him all your life, you have a strong connection and bond – he’s a member of your closest family. So writing a birthday message or getting him a card isn’t anything you have to worry or stress about. 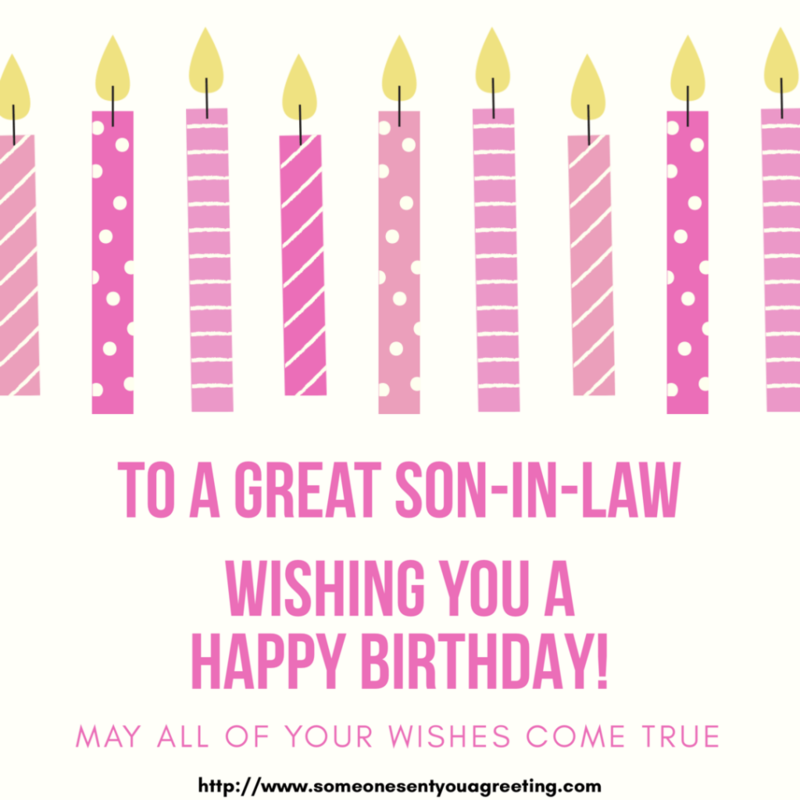 But saying “Happy Birthday son-in-law” can be a different story altogether. You may not know him as well, what he likes and dislikes, and you may be fearful of causing offence. Let’s be completely honest: you’re not his mother or father. So there’s always the possibility you over step the mark and say something inappropriate or that he isn’t comfortable with. So something that on the surface seems easy has the potential for problems. 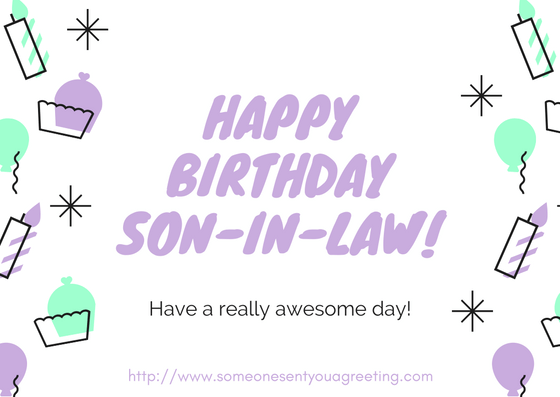 But that’s why we’ve put together this guide on what to write in a birthday card for a son-in-law. 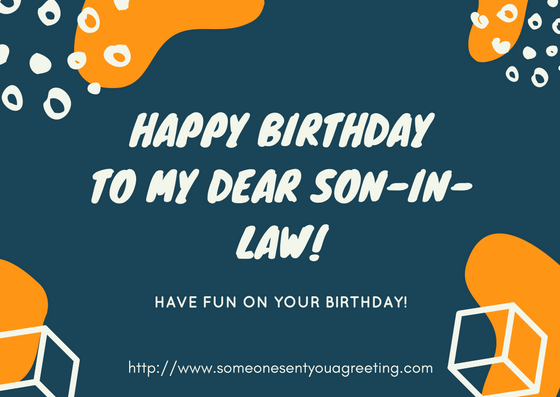 You’ll find a great range of birthday wishes and messages for your son-in-law, from sweet and touching to funny and insightful quotes. You can use them in cards, on social media like Facebook, or even use them to say to your son in law in person. 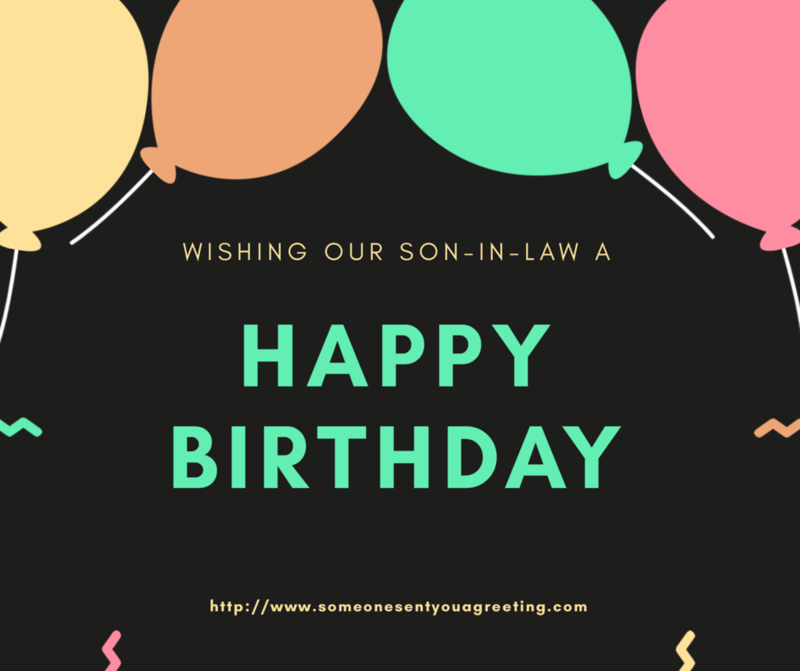 Wish your son-in-law a happy birthday with these messages and greetings.They are fairly general and non specific so should be suitable for most situations. It may have been chance you became our son-in-law but it was our choice to keep you as part if the family. Enjoy your day. I hope you have a special and joyous Birthday! We may not say it very often but we’re so pleased with the choice our daughter made! Have a brilliant Birthday! You have my daughter the gift of true love. Unfortunately whatever we get you won’t quite march up! Happy Birthday though! Happy Birthday to our favourite son-in-law. 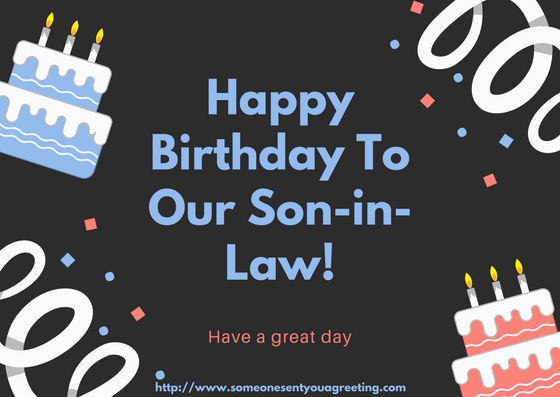 To the best son-in-law in the world – have a fantastic day! Enjoy a great Birthday and don’t eat too much cake! Wishing you a happy and memorable Birthday. A good way to celebrate a birthday is with laughter and joy. So a joke or funny message is a great way to put a smile on your son-in-laws face and enjoy his big day. You’re looking great considering you married into our crazy family! Happy Birthday! Happy Birthday to a son-in-law who has the most amazing in-laws! We forgave our daughter for marrying you when she let us know just how rich you are! We love calling you our son so much we’ve decided to remove the suffix ‘in-law’. Happy Birthday! You deserve to have a relaxing birthday. You work hard keeping our daughter happy! Tall, handsome, sensitive, intelligent, funny, brave, musical and athletic. Ben was am all those things — so why on earth did my daughter have to go and marry you!? We hope your birthday is the happiest day of your life… Wait! The day you married our daughter should be the happiest day of your life! We don’t need to give you a birthday present. We already made you the perfect gift – our daughter! were a complete fruitcake – Sweet, nutty and totally wonderful! 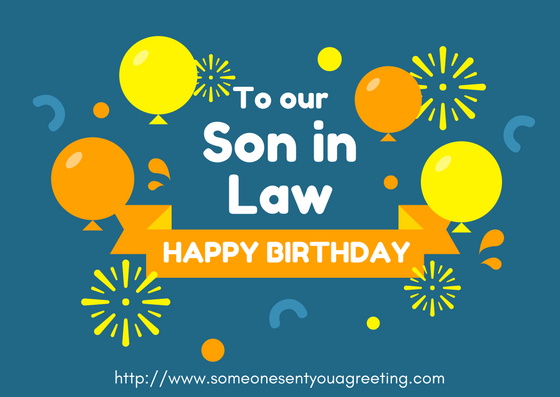 Wish your son-in-law a touching and sweet Happy birthday, letting him know just how special he’s become to you. Wishing a magical day to the man responsible for always putting a smile on our daughter’s face. Happy birthday. The world might see you as our son-in-law, but to us you’re just like a true son. Have a very happy birthday, dear. A different but equally good way to wish a son-in-law happy birthday is with an insightful or inspirational quote. 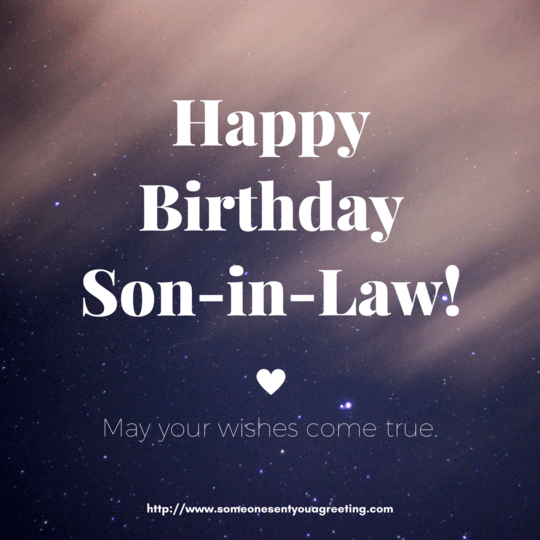 You can use these sweet, joyous and funny Happy Birthday son-in-law images to share on Facebook or Twitter, either directly to your son in law or for the world to see.